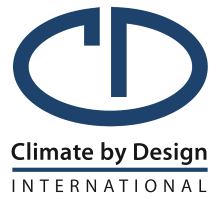 As CDI's Vendor Manager, you will be responsible for building and managing relationships with companies that supply our products and services. You will also develop and oversee the procurement processes that are required throughout the company starting with initial contract through receipt, and ensure that vendors meet or exceed documented company expectations. Develop relationships with vendors, communicating effectively on expectations. Manage vendor performance and relationships through evaluation, tracking, measuring, and reporting. Monitor vendor results such as on time delivery, reliability, quality, price, and accuracy. Conduct quarterly business reviews for top spend vendors. Coordinate vendor and/or component changes that have high ROI impact while considering the overall cost of component and/or vendor change throughout the company; including: design standards, third party certification, and process standards. Secure pricing from vendors as directed to support the company’s business needs including items needed for Sales to accurately develop proposals. Document existing manual purchasing related processes and coordinate with Materials Controller to develop new processes. Work with Materials Controller to identify automation opportunities within the Purchasing area and help facilitate the implementation of the associated automation solutions. Assist in researching alternative vendors for new parts that best serve their technical purpose while minimizing or reducing labor. Negotiate and set up vendor relationships for product related parts. Effectively utilize ERP system to minimize the impact of parts changes upstream and downstream. Work with IT and Engineering to implement new vendor selection software tools, ensuring standardization of tools throughout the company. Provide backup to the Materials Controller and Materials Coordinator. Apply best practices to vendor processes and methods. Participate in formulation of workflow processes, methods and policies for vendors, applying best practices. Review costs, cost trends, and cost reduction opportunities for inventory items and make appropriate recommendations. Communicate effectively with Operations team on matters that affect engineering and production. College education or equivalent coursework and experience. Coursework and seminars in topics related to improvement of purchasing, materials, and inventory in manufacturing operations. A minimum of 5 years experience in vendor managed inventory, buyer, logistics planning, and customer service as well as practical application of best practices in vendor management.